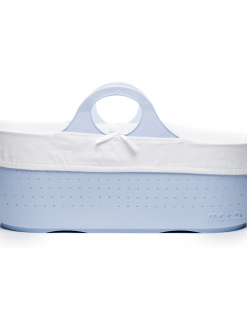 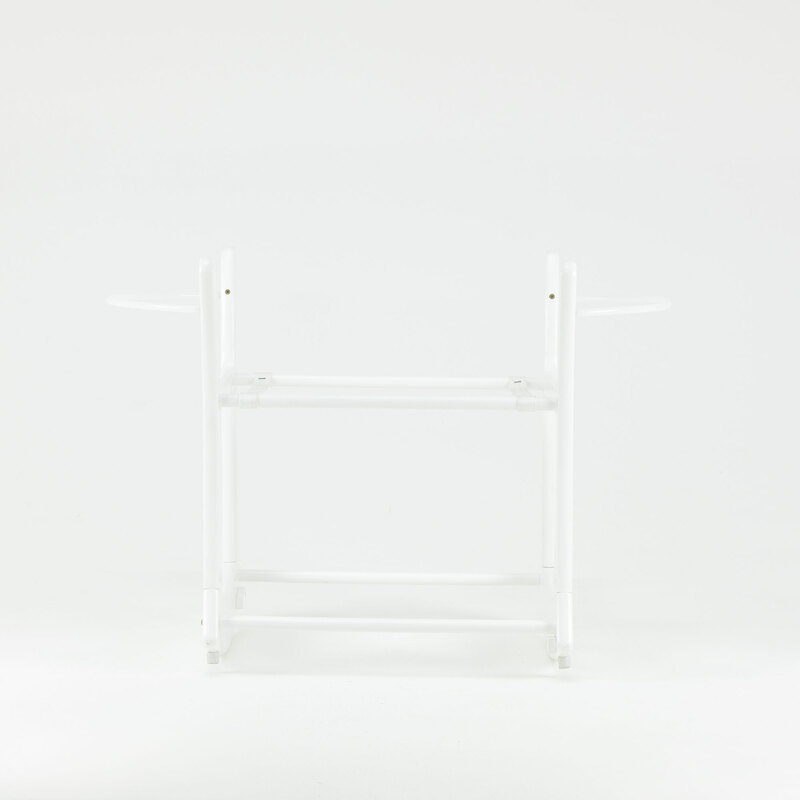 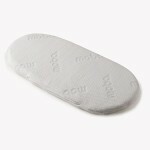 The Moba stand’s curved base allows you to gently rock your baby to sleep. 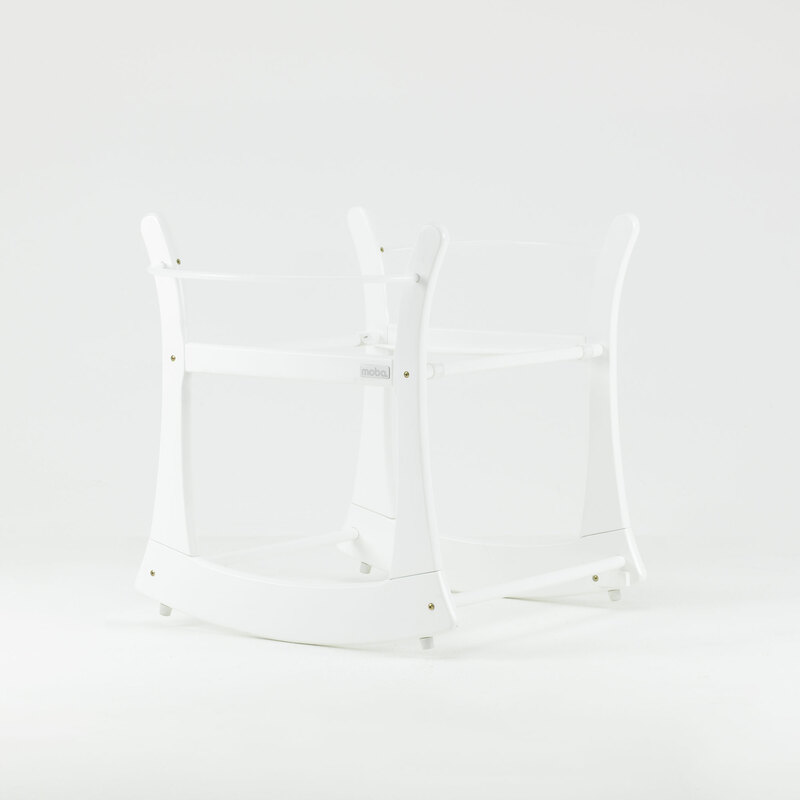 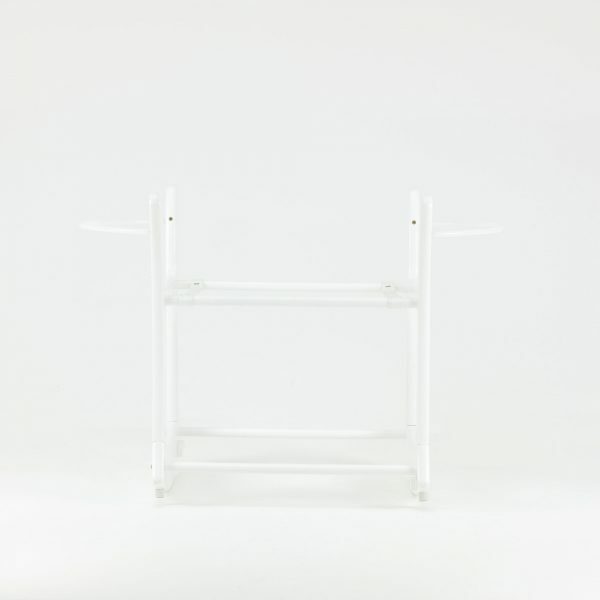 It also features adjustable safety stops, giving you the choice of rocking or static positions. 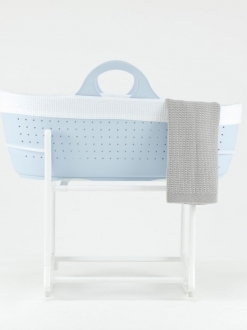 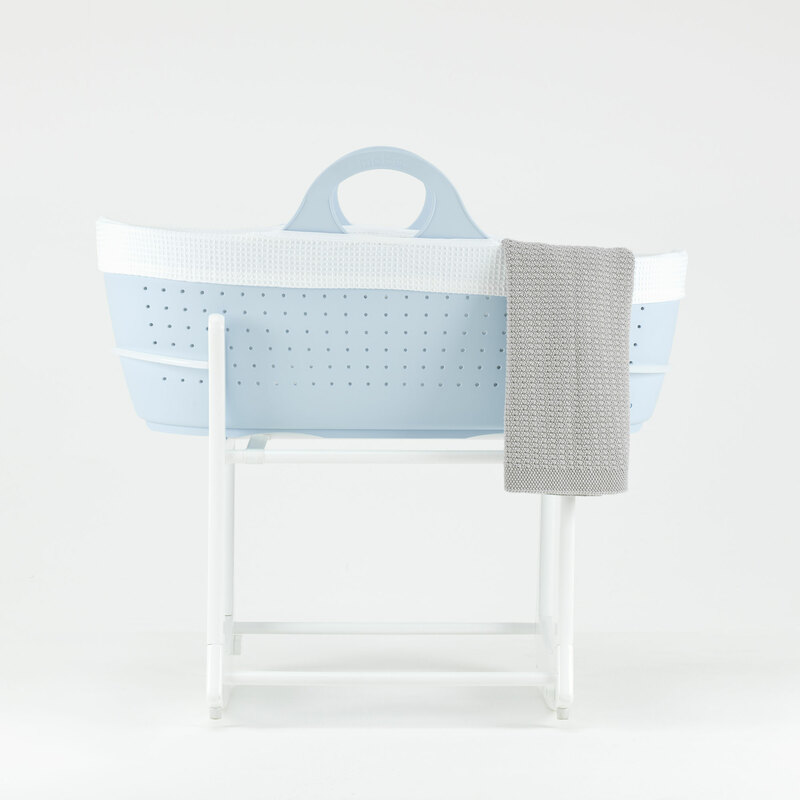 Made from sustainably sourced wood with flexible plastic hoops designed to hug the sides of you Moba moses basket for a secure fit.